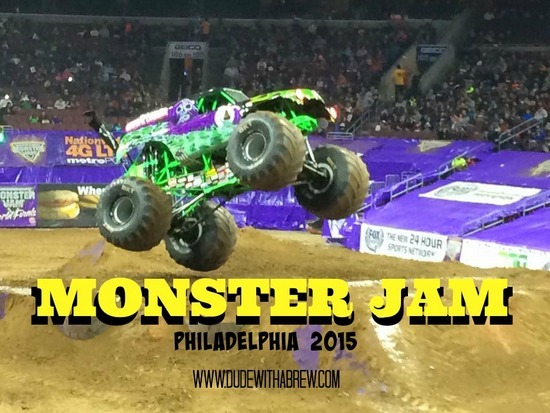 Well folks, Monster Jam is back in Philly and is offering up smashing entertainment for the whole family. 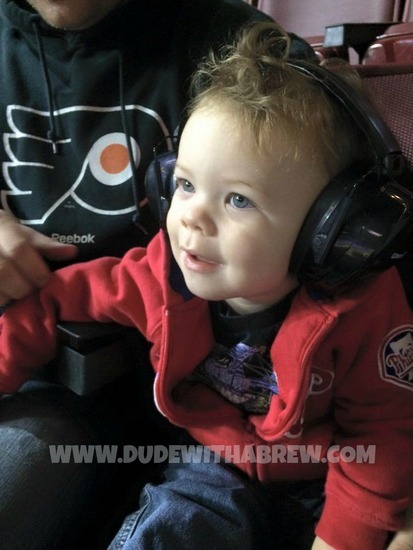 We attended the Friday night show at the Wells Fargo Center and absolutely loved it. I mean, who wouldn’t love to see 10,000 pound, 1,500 Horsepower, 12′ tall big boy toys racing, spinning and jumping right in front of you. It’s absolutely amazing to see. Landon got his first taste of monster trucks this summer when we stopped at Digger’s Dungeon and saw the home of Grave Digger. He loved it. 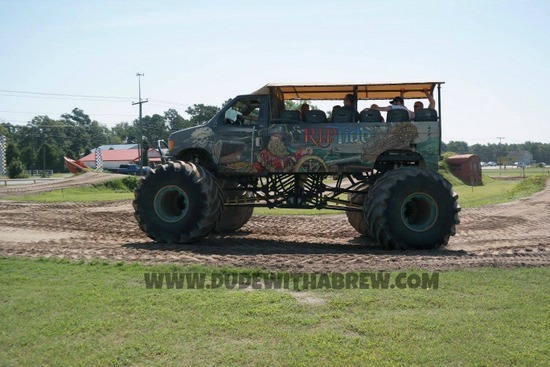 We saw the shop, a bunch of the trucks, and even took him on a monster truck ride on the R.I.P. Tide. The ride was cool. 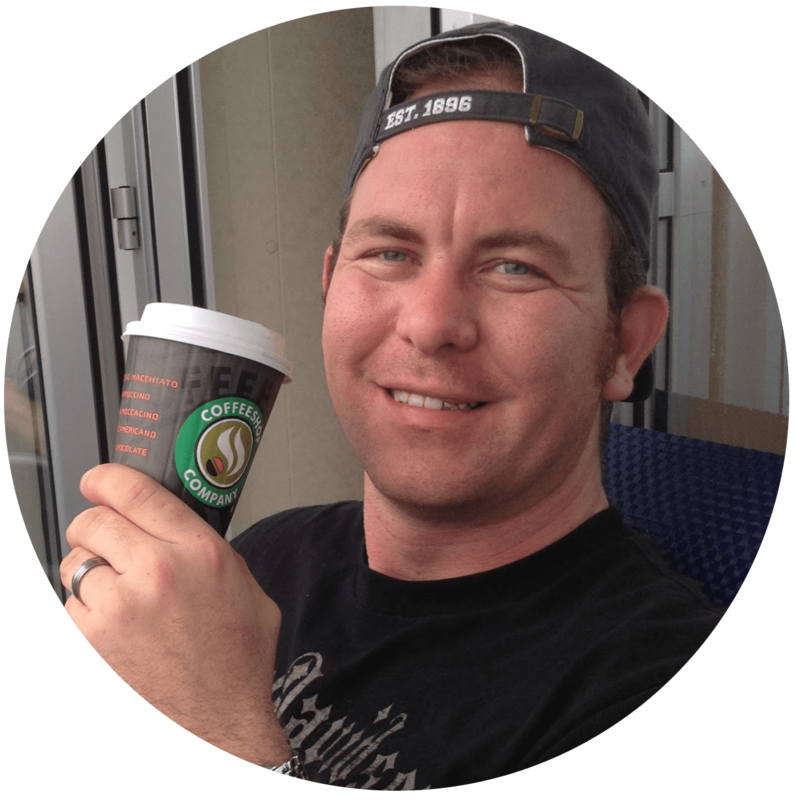 He was a little apprehensive at first, but that quickly faded and his concern turned to utter amazement and joy. He hasn’t been to see live monster truck racing, so we weren’t sure how he would react. The shows are LOUD. VERY LOUD. Be sure to get ear protection before you go. You can find economical ear-muff style protection in the shooting section of most retailers. We found ours at Walmart for $9.97, but you can find them at Cabela’s, Sears, Dicks or most retail outlets. You can even get specific Kids Ear Protection on amazon that are lighter weight and more comfortable for little heads. It is worth the money to protect their ears, because if I haven’t mentioned it, it is very loud. Worst case, they sell them at the show for $20. Landon basically lost control from the moment the trucks came into the arena. He was smiling, pointing and jumping in his seat with overwhelming excitement. He is a kid that can’t sit still for more than 5 minutes (okay, 3), but for the first time in his life, stayed put for the 2 hours to enjoy the entire event. The Monster Jam event in Philly starts out with a few heats of Quad racing to warm up the crowd. Then the Monster Jam trucks enter the arena one at a time for timed races. After they crown the winner of the timed races, the trucks roar back in to to do high power super incredibly fast dirt slinging donuts. After the donut competition, the competitors come back for the wheelie races. They pretty much just see who can hit the dirt and propel their truck the highest. There are some more quad races interspersed with the rounds of competition to keep the action going all the way up to the Main Event. The Main Event is the Freestyle Competition. The drivers come out and push their Monster Jam Trucks to the absolute max to entertain the crowd. The freestyle is a no limit 73 second ride where they combine burnouts, donuts, jumps and amazing stunts. These drivers do not hold back!! They want to win and know that the crowd wants to see them crash and smash the trucks. They perform the incredible jumps, flips and turns and do occasionally roll over and crash. Sometimes they can recover in amazing acrobatic ballet-on-wheels moves that right the truck in an amazing way. If they can’t, they bring out the big earth-moving equipment to flip them right side up and get them either back on their way or off to be repaired. 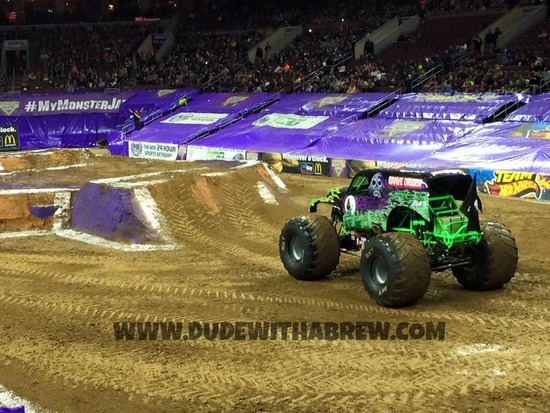 Monster Jam is at the Well Fargo Center through Sunday October 4th. Tickets are still available for as little as $15 (plus $2 day-of-event fee). The show is a must see for anyone! !